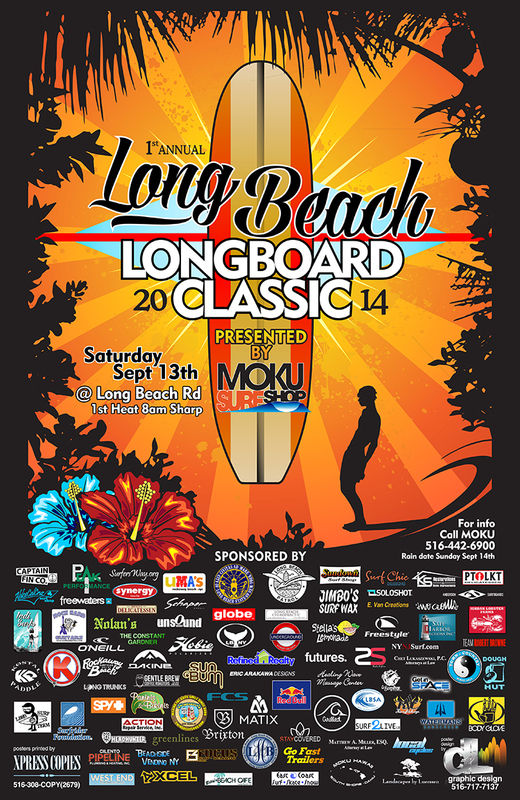 Saturday, Sept. 13th at Long Beach Boulevard beach. Rain Date Sunday, Sept. 14. Contact Moku Surf for entry and details: (516) 442-6900. $20 entry fee. Free t-shirt. Free food. Good times.